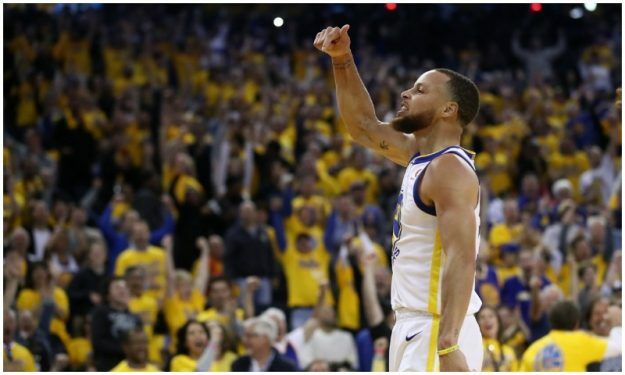 Warriors stole Game 1 of the NBA Finals in overtime, despite LeBron’s historic, 51-point outing. The Warriors got the 124-114 overtime win, after a 9-0 to gain their largest lead of the game (116-107), but the Cavs missed a golden chance to get the break. With both teams struggling from the three-point land, the game was fairly close heading into crunch time. After Steph Curry converted the three-point play, and with the Dubs up one (107-106), George Hill got fouled and hit one of two free-throws. The game to overtime due to a weird sequence involving J.R. Smith who got the rebounds after the second missed free-throw, but brought the ball back out thinking the Cavs were up. LeBron James had a playoff career-high with 51 points in an astonishing, historic performance. He added 8 boards and 8 assists in a losing effort. He was also given a foul following a review with 36.4 seconds left and Durant converted a pair of free throws to tie it at 104. The call had initially been a charge on 2017 finals MVP Durant and James protested the change. Coach Tyron Lue did the same in the press conference after the game. Turkish rookie Cedi Osman and Croatian center, Ante Zizic and Spanish veteran Jose Calderon saw the floor just for 2.6 seconds. Stephen Curry led the Warriors with 29 points, including 5-of-11 from downtown. He added 6 rebounds and 9 assists while Kevin Durant and Klay Thompson scored 26 and 24 points respectively. Draymond Green just missed a triple-double with 13 points, 11 rebounds, 9 assists, adding 5 steals and 3 blocks in an impressive all-around performance. Georgian international, Zaza Pachulia did not play. Game 2 takes place on Sunday in Oakland.